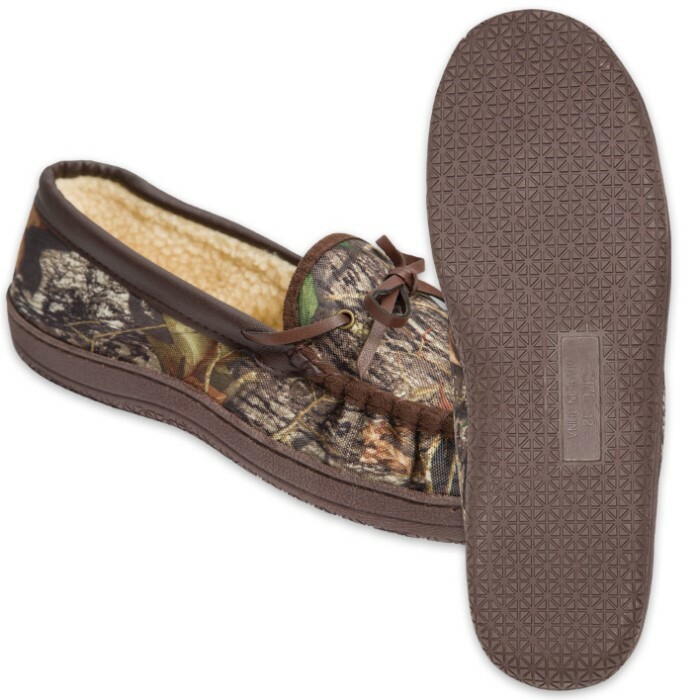 Itasca Men’s Sportsman Slipper - Mossy Oak Camouflage | BUDK.com - Knives & Swords At The Lowest Prices! 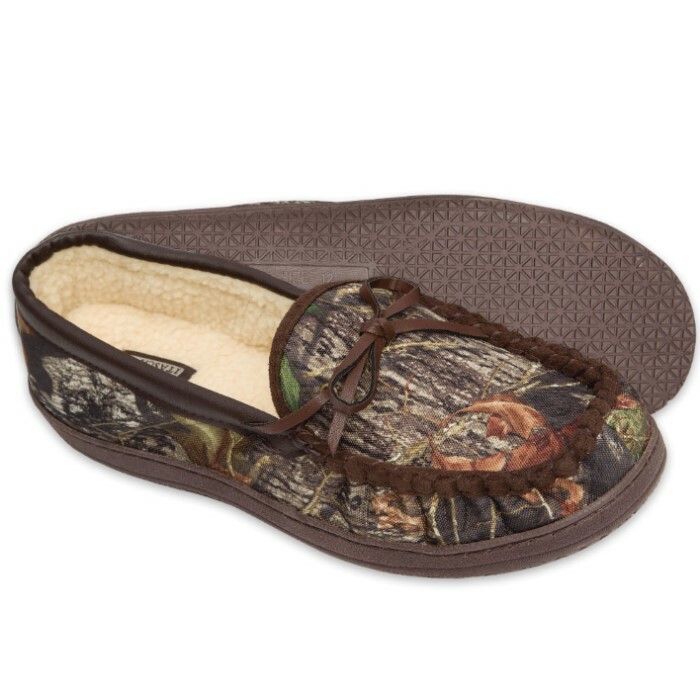 After a long day of hiking, hunting or just working, treat your feet with the Itasca Sportsman Slippers. 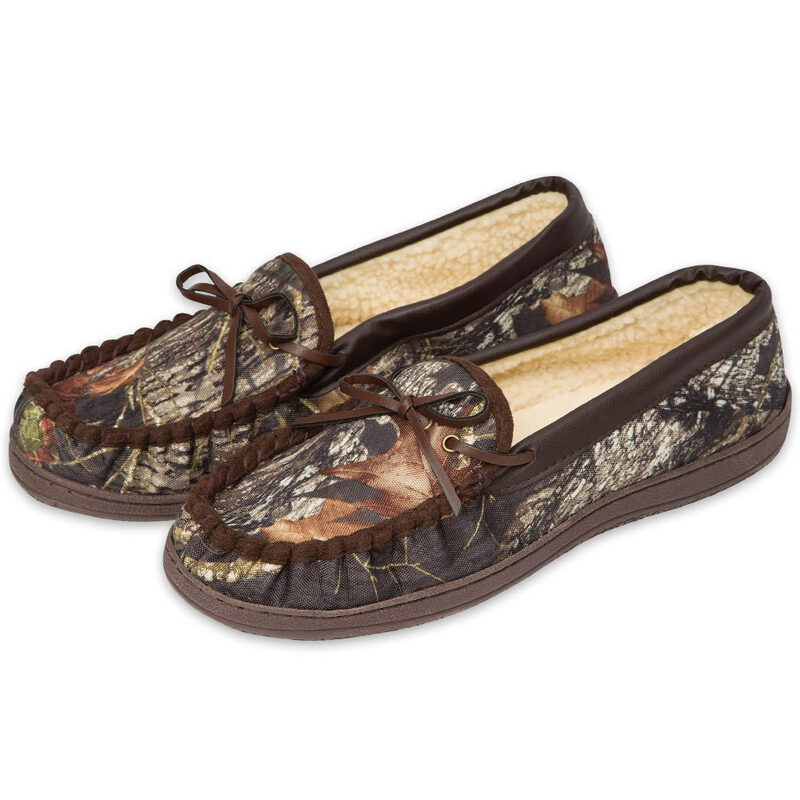 These warm, lace-up slippers offer relaxation for your feet with a rugged, outdoor appeal. They are constructed of a durable nylon upper and a Berber fleece lining. They have oil resistant outsoles with non-marking rubber traction and fixed insoles. Comes in sizes 8, 9, 10, 11 and 12.